As an add-on developer, you may want to have usage reporting integrated into your add-on. This allows you to understand how your users are using the add-on in real life, which can often lead to important insights and code updates that improve user experience. The most popular way to do this is to inject the Google Analytics script into your codebase as if it were a web page. However, this is incompatible with our review policies. Injecting remote scripts into privileged code – or even content – is very dangerous and it’s not allowed. Fortunately, there are ways to send reports to Google Analytics without resorting to remote script injection, and they are very easy to implement. In my demo I do everything from the content script code. For add-ons with a more complex structure, you should set up a background script that does the reporting and have content scripts send messages to it if needed. I set up my reporting so the hits are sent as events. You can read about reporting types and all the different parameters in the Google Analytics developer docs. That’s it! With just a few lines of code you can set up Google Analytics for your add-on safely, in a way that meets our review guidelines. As a user, I may wish to block this kind of thing. Is that possible? And what if we don’t trust Google Analytics? This sort of thing is why F-Droid puts up big red warnings for Firefox. Most of our machines have GA blocked using both a local HOSTS file and at the router, but there are Android devices here which aren’t rooted. That is interesting solution, but I do not like much GA, is possible to do this for another platform like piwik or other system for tracking visits. I don’t know if other tracking systems have APIs, I only tried with GA because it’s already very popular among add-on devs. Feel free to try out other systems and comment here! _paq is just the global variable name, it might not be the same for other users of Piwik but you should be able to see it at the place where you integrate Piwik. Yes, but the point of this blog post is to avoid injecting remote scripts into your code. To do this with Piwik we need an API that lets you use XHR to send the data directly. That’s what would require some investigation. Instead of creating blog posts telling develops how to track users in extensions, Mozilla should focus on creating an environment that respects users’ privacy. After reading “Using Google Analytics in Extensions” in my feed reader I expected a post saying “Don’t.” – not a tutorial. Oh good, yet another person who doesn’t want developers to have any insight into how their software is used, even via anonymized analytics. Go write yourself an addon that hides the ones you have a ridiculous stance against. The rest of us don’t mind letting developers have some basic statistics to work with if it helps them improve their software. Not everyone is gathering stats just to hunt you down and make your life miserable. I’m fine with (optional) telemetry (as implemented for example in Firefox), but against being tracked by ad companies in whatever I’m doing. By the way, I’m a developer of a Firefox/Chrome extension with a six digit user base. And somehow I manged that without using 3rd party trackers. 2. Be outraged all you want, but our admin has GA blocked at the gateway router as well as via HOSTS files on each individual machine, updated monthly. If the developers were using their own telemetry (or if Mozilla provided a telemetry service), then their pings would get through but, as-is, it’s blocked by a mechanism that was put in place without any consideration that GA might be used by things other than websites. 3. Firefox doesn’t have Chrome’s nice little “Allow to run in incognito windows” checkbox. You’re damn right I’m going to make sure that my extensions never send analytics pings. welp , this is disconcerning , google is one of the companys with a “666” logo. every analysis since the beginning of mankind was collected to predict the future outcomes in similar cases . thats common knowledge , all sience and everything else is build upon that promise . so now think about if someone just collects all social data in the world , why would someone do that ? becasue they want to build a society-future-prediction-and-manipulation system. First, why content script is needed? Background.js can handle AJAX request. If it is security, AJAX call in content script may danger web site like background.js does for browser. Content script has to be banned for AJAX call if it is security concern. The add-on in the example is just a content script, so that’s why I added the code there. You’re right that, generally, it’s more appropriate to have the code in the background script. Since it’s just an XHR POST, there’s no danger of anything remote being run in the client. The example should work the same with XUL add-ons. The reporting could be done from a JS Module, a component, a bootstrap script, etc. Yes background script is better. 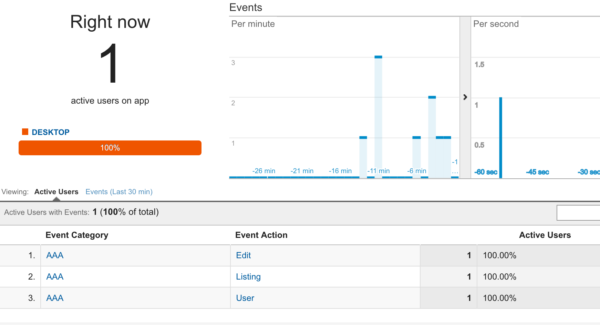 Google Chrome also use background scripts for Google Analytics. OK didn’t test but content script may collect domain specific GA cookies if “permissions:cookies” allowed. This might break domain GA statistics the content script attached to. Or extension may collect domain’s GA cookies at its Google Analytics account while calling GA AJAX. Test content script.execution thoroughly, not to break domain GA statistics. Ban it if it manipulates domain GA. Ask Google Analytics team or Google Chrome devs why background.html is preferred by them, but not content script. I did some testing and didn’t see any cookies being stored using the method implemented in this post. It’s likely that the more conventional method of injecting the script does do that. Note that the method recommended here is also used for mobile apps and other applications that wouldn’t be using XHR or have cookie storage, so it wouldn’t make much sense to try to store cookies in those cases. Thanks for bringing this up, I hadn’t considered that case. 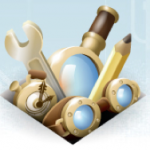 Using this functionality https://ga-dev-tools.appspot.com/hit-builder/ I send data to Google Analytics with the help of Google Chrome and Mozilla Firefox. I receive the same answer response (GIF89a) but data sent via Google Chrome appear in Google Analytics and those sent via Mozilla do not. Please advise what are the necessary steps to be done to avoid this mistake. Thanks! Thanks! This option doesn’t work for me for some reason in Mozilla Firefox though it works in Chrome and the response is the same in both cases. Can you please advise what causes this issue? What isn’t working for you? Is the data just not being recorded by GA? Yes, the data just not being recorded by GA! You’re possibly not sending all the required parameters. I suggest you read the documentation carefully, since different types of hit have different required fields. What should I fill in under the “Website URL” when creating new property? I set it up as a mobile app, which I think didn’t require a domain. If you want to set it up as a webpage, you could use some domain you own.